Environment to learn Hapkido. Hapkido Online is designed to be a stand alone program for learning the martial art of Hapkido with no outside training. to act as your personal martial arts instructor. Students watch video lessons, read written tutorials and graphic tutorials. Students then practice the movements. Students routinely practice with Hapkido Online instructors in real time via the digital dojang. Ideally Hapkido Online is used to supplement existing martial arts instruction. There truly is no replacement for a real live teacher. Either way you choose to utilize Hapkido Online you will definitely benefit from the lessons taught here. Hapkido online explains the science behind the moves. You will journey into the human body to see what happens when a technique is applied to it. This greater understanding will add dimension to your training. Hapkido Online students read the lesson, watch the video tutorials, and then practice the moves. Ideally students work in pairs, it is impossible to learn Hapkido alone. The student then either joins the instructor in the Digital Dojang to review their progress or they may video record themselves doing the moves and send them to the instructor for review. Students are encouraged to keep a log of their training. The Hapkido instructors here will review the students progress with interest. In time the instructor will encourage the student to test for a new belt. The instructor will not encourage you to take a belt test till he knows you are ready to ace it! Testing may also be done by a Hapkido member school if one is available in your region. Fair warning, Hapkido Online is NOT A BELT FACTORY. If you are looking for quick promotion to black belt or higher, search elsewhere. If anything learning a martial art online requires more practice and dedication than traditional training. Nobody gets promoted till they meet the requirements for the next level, period. Online students are held to the same standard as my brick and mortar school students. We are interested in giving you quality training that you can rely upon, that is the focus here. It is best not to pressure the instructors to test. Instead we encourage students to routinely demonstrate progress so that we can see how they are coming along and offer feedback. If you are ready we will simply say you are ready to test. What is with the Password? White belt instruction is free to all. Yellow Belt Instruction and higher is for Members Only. Upon joining you will be given a password to access the higher levels of training. Click Here to Compare us to other programs. Hapkido Online is not affiliated with Black Belt Distance Learning. Hapkido is an eclectic Korean martial art that employs punches, kicks, throws, joint locks, and nerve attacks. The exact history of Hapkido is not completely known but most practitioners agree that it is an offshoot of Japanese Aiki-Jujutsu. Furthermore Hapkido blends Korean punching and kicking arts such as Tae Kwon Do, Hwa Rang Do, and Tang Soo Do. Hapkido's Japanese cousin Aikido has many similer techniques but Hapkido utilizes those techniques in a completely different fashion. Though the techniques share some commonality the philosopy of Hapkido is dynamically opposite. Where Aikido is completely passive Hapkido has a measured response. In Biblical terms, if Aikido is turn the other cheek, Hapkido is eye for an eye. Where Aikido combines energy with an attacker and then projects them away. Hapkido combines energy, multiplies it and subdues or destroys depending on the choices of the Hapkidoin. Hapkido is not a showy tournament martial art but instead is a very practical and realistic martial art for people who operate in hostile environments. Hapkido is often the style of choice for police, prison workers, body guards, and even special forces. In addition to an incredible panacea of joint locks and throws Hapkido also utilizes every kick, punch, block, knee, and elbow strike that its cousin Tae Kwon Do possesses. Hapkido online also adds some of the interception techniques from Chinese Wing Chun. With so much going on Hapkido willl take you years to learn and master but I promise you that if you do the exercises listed here you will learn Hapkido. A brief disclamer, the practice of martial arts can be dangerous. The fighting techniques listed here are for street level self defense and have the power to maim or even kill your attacker. While we believe that regular and responsible Hapkido practice will have a net health benefit. The practice of these techniques can also lead to injuries if you do not do them properly. Hapkido-Online and it's creators are not responsible if you hurt yourself, another person, or destroy property. If you have any medical conditions consult with a doctor before starting Hapkido training. Hapkido Online was built by Christian Martial Artists who consort with other Christian Martial Artists and is faith based education. 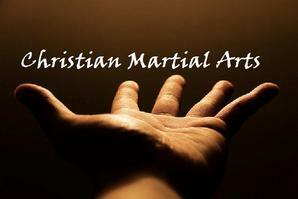 Here you will be exposed to Hapkido training and people who believe in God. Are you ready to change your life forever? Are you commited to taking this long and powerful path? Then let us begin.